Students at Clifton Creek PS are hoping for clear sunny skies to make lots of electricity now that the school has a grid interactive solar power system. 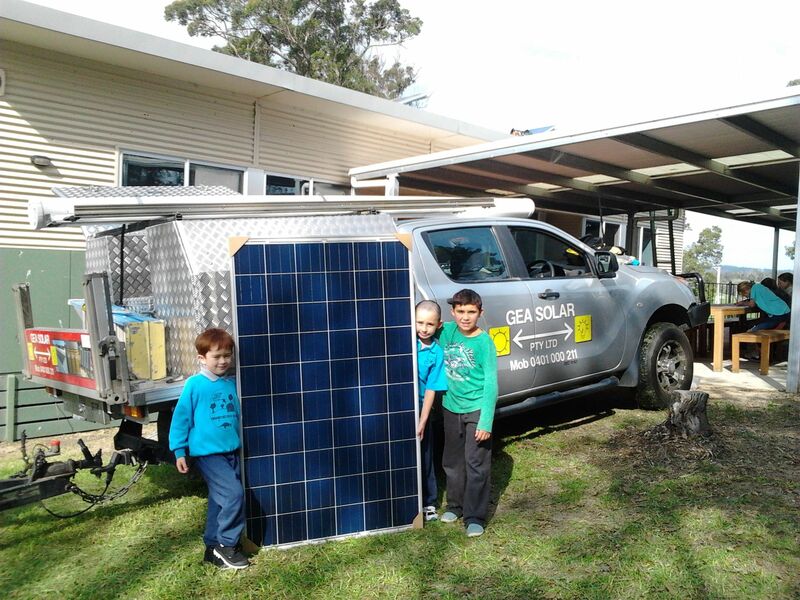 Supplied and installed by GEA Solar Pty Ltd, the new 4.5 kilowatt system has been made possible by funding from East Gippsland Shire’s Grants Program- Environmental and Sustainability stream. As a ResourceSmart school for many years, Clifton Creek PS is committed to educating students about the importance of conserving our precious resources, learning to live more sustainably and leading the local community in the uptake of renewable energy technologies. The power generated from their 18 solar panels is fed back into the electricity grid allowing a financial rebate. Students are able to monitor the effectiveness of the solar panels as well as the amount of electricity used at the school. Looking into further actions to increase energy efficiencies within the school will be their next priority. Clifton Creek Primary School might be very small in size but is determined to make big moves in reducing their ecological footprint- one step at a time.